BLACK, JOSEPH LAURENCE, businessman and politician; b. 12 Jan. 1829 in Amherst, N.S., son of Josiah Black and Hannah Embree; brother of Thomas Reuben Black; m. first 1857 Jane Humphrey (d. 1860), and they had one daughter; m. secondly 20 Aug. 1862 Mary Ann Snowball, sister of Jabez Bunting Snowball, in Sackville, N.B., and they had two sons and two daughters; d. there 12 March 1907. Educated in Amherst and at the Wesleyan Academy in Sackville, Joseph L. Black worked on the parental farm until 1850. Two years later, after clerking in an uncle’s store, he opened his own general store in Middle Sackville. The business steadily expanded. According to the reports of R. G. Dun and Company, its worth increased from between $2,000 and $5,000 in 1864 to between $10,000 and $25,000 in 1874. In extending credit to his customers, Black was soon taking mortgages on property and other assets. The number of these agreements, the sums advanced, and the securities taken became quite substantial. Not surprisingly, Black was involved in many auction and sheriff’s sales, and he acquired considerable land. By the mid 1890s his stock in hand was worth between $25,000 and $30,000, and he owned some 15,000 acres of timberland and two lumber mills; in addition, he farmed extensively and operated a lobster factory at Cape Tormentine. A grandnephew of William Black*, the founder of Maritime Methodism, Black sat on the quarterly board of the local Methodist church and spearheaded the effort to wipe out the church’s debt, a cause to which he contributed $600. He also gave generously of his time and money to Mount Allison College, serving for 25 years on the executive committee of the board of governors, 15 as its chairman. 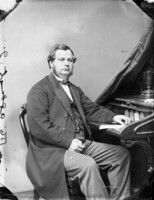 Black was appointed a justice of the peace in 1863 and offered such a careful scrutiny of the county accounts that, when the first municipal council was elected in 1877, grateful taxpayers placed him at the head of the poll. His belief in the need for economy in government led him to run for the House of Assembly the following year. The religious strife occasioned by the Common Schools Act of 1871 [see George Edwin King] had not yet died and his ticket, which included Pierre-Amand Landry* and Daniel Lionel Hanington, was vilified by some as being “essentially in the Catholic interests.” Black courageously outlined his platform of “Equal Rights to all.” “We have yet to learn that the smaller and weaker people are to be overmatched and proscribed in this British land.” His ticket was returned over that headed by Angus McQueen and Josiah Wood*, largely on the strength of the Acadian vote. In the assembly Black became an outspoken critic of the financial irresponsibility of John James Fraser*’s administration. His opposition was uncomfortable for him, however, for in dominion politics he was a partisan of Sir John A. Macdonald*’s Conservatives and the support of Landry and Hanington, both of whom had entered the Fraser government, had to be maintained if the federal seat of Westmorland was ever to be wrested from Sir Albert James Smith*. One matter on which all of Westmorland’s representatives could agree was the need for the New Brunswick and Prince Edward Railway, which was to run from Sackville to Northumberland Strait [see Amos Edwin Botsford*]. Black had been an early subscriber but lack of government funding had delayed construction. In February 1882 he and Wood were instrumental in rallying public support for the project, and the following month Black guided through the assembly measures to extend the charter of the railway. 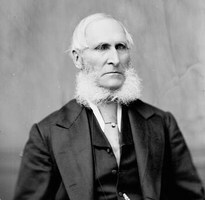 In June Wood, now president of the line, defeated Smith in the federal election, having been supported by Black, Landry, and Hanington. Work on the railway began later that summer and it was in operation by September 1886. Black’s land and lumber interests were on or close to its path and received a tremendous boost from its construction. Black had refused to stand for re-election with Hanington and Landry in 1882, citing their abandonment of “pledges” and “reforms.” In 1886, however, he re-entered provincial politics on the Hanington ticket, emphasizing the while that he was an independent. The Moncton Daily Transcript denounced “his chameleon like course.” The election was an overwhelming victory for the government of Andrew George Blair, but Black and some of his colleagues were elected in Westmorland, Black combining strength in Acadian centres with a strong showing in the Sackville area. 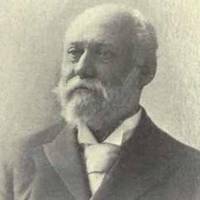 He faithfully attended the legislative sessions of 1887, 1888, and 1889, but he was not as active as before and in January 1890 he announced his retirement. Earlier in his career, Black had been described as “very crochetty and hard to get along with” in his business dealings, and this astutely vigilant approach apparently persisted. He had recognized that Maritime mercantile houses needed to transform themselves into broader enterprises in order to flourish, and his firm had prospered. In December 1906 his company, in which his elder son, Frank Bunting, had played an increasingly active role since the 1890s, had total assets of $133,620.51 ($55,000 in real estate) and liabilities of $29,014.38. At the time of his death Black’s private estate was valued at $49,144. He died of pneumonia on 12 March 1907. Through hard work and attention to available opportunities, he had built a successful company and a substantial estate. 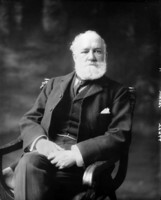 His fortune had been allied to that of Sackville’s other major merchant family through Frank’s marriage in 1898 to a daughter of Josiah Wood. Mount Allison Univ. Arch. (Sackville, N.B. ), 7610 (T. R. Anderson papers); 8510 (J. L. Black papers). PANB, MC 1156, X. Chignecto Post (Sackville), 1870–79. Chignecto Post and Borderer (Sackville), 1879–96. Daily Times (Moncton, N.B. ), 13 March 1907. Daily Transcript (Moncton), 1882–90. “Mr. J. L. Black’s establishment,” Chignecto Post Special Number (Sackville), September 1895: 11–12. 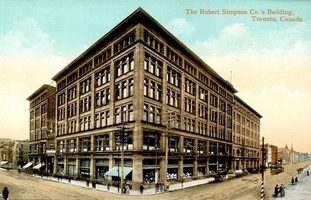 Sackville Post, 1897–1910. Transcript (Sackville), 1881–82. Tribune (Sackville), 18 March 1902. Historical record of the posterity of William Black . . . , comp. Cyrus Black and L. W. Black ([rev. ed. ], Sackville, ). D. [W.] Jobb, “Josiah Wood [1843–1927]: ‘A cultured and honoured gentleman of the old school’” (ba thesis, Mount Allison Univ., 1980); “Sackville promotes a railway: the politics of the New Brunswick and Prince Edward Railway, 1872–1886,” People and place: studies of small town life in the Maritimes, ed. L. [D.] McCann (Fredericton and Sackville, 1987), 31–56. “Joseph Lawrence Black,” Allisonia (Sackville), 4 (1906–7): 95–96. Mercantile agency reference book, 1864: 472–73; 1874: 683–84; 1884: 833–34; 1908: 174. N.B., House of Assembly, Synoptic report of the proc., 1880–82, 1887–89. W. B. Sawdon, “Joseph L. Black and Sons Limited celebrate a century in business,” Maritime Advocate and Busy East (Sackville), 38 (1947–48), no.3: 5–9. William G. Godfrey, “BLACK, JOSEPH LAURENCE,” in Dictionary of Canadian Biography, vol. 13, University of Toronto/Université Laval, 2003–, accessed April 22, 2019, http://www.biographi.ca/en/bio/black_joseph_laurence_13E.html.